Section 1. These By-laws repeat or amplify administrative procedures and methods set forth in the article of incorporation of Kodiak Island Search and Rescue originally organized in 1986 under the statues and codes of the State of Alaska and the United States of America. No statement contained herein shall be in derogation of those articles of incorporation. Section 2. Kodiak Island Search and Rescue shall commence operation on the date that the article of incorporation were subscribed to by the incorporators, and shall continue in perpetuity or until the Board of Directors completes final dissolution in accordance with the articles of incorporation and these by-laws. Section 1. 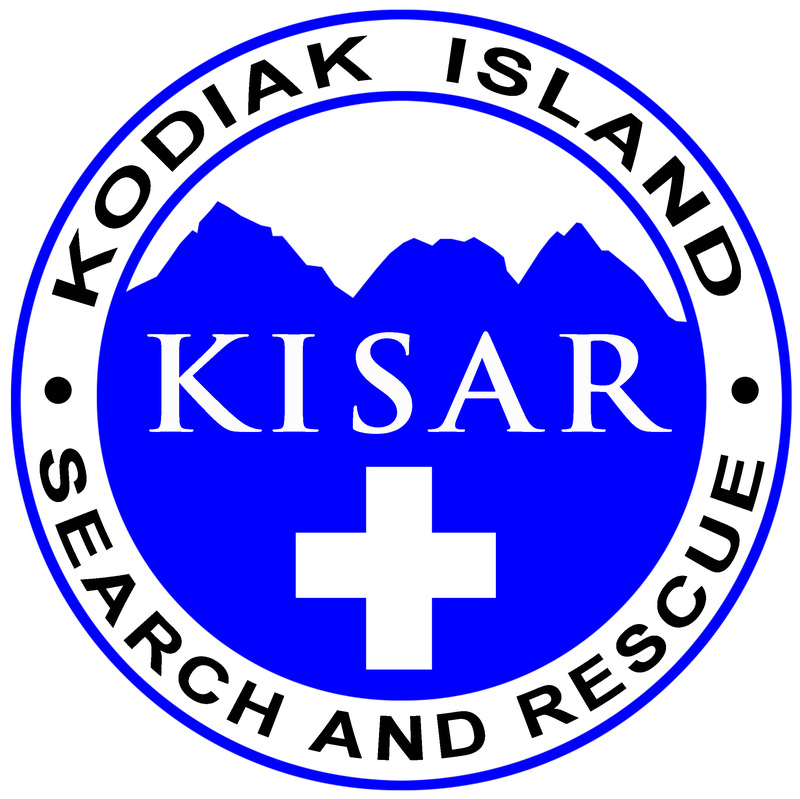 The name of this organization is Kodiak Island Search and Rescue, Inc. and the only official abbreviation of the name is “KISAR”. Section 2. The seal of this organization shall be a three (3) sided shield containing an outline of Kodiak Island displaying a white-cross centered therein together with silhouettes depicting a mountain rescue scenario and one or more search dogs. About the upper periphery of the seal shall appear the words of “Kodiak Island” and directly below that the words “Search And Rescue” with the lower periphery of the shield displaying the abbreviation “KISAR”. To furnish highly trained volunteers and dog teams for search and rescue for the benefit and welfare of the community. To organize and support the continuing education and training of volunteers, dog teams and support personnel in accepted search and rescue methods. To increase public awareness of search and rescue trained volunteers and dog teams by providing informational and educational programs and demonstrations to institutions, agencies and community organizations. Section 1. This organization shall have the following types of members: Operational, Training, Support, and Honorary. Section 2. Operational memberships shall be open to all persons at least twenty-one (21) years of age who have successfully completed the operational level requirements set forth in SECTION 300 Standard Operating and Evaluation Procedures. Section 3. Support memberships shall be open to all persons at least eighteen (18) years of age who have successfully completed the support level requirements set forth in SECTION 300 Standard Operating and Evaluation Procedures. Section 4. Training memberships shall be open to all persons at least eighteen (18) years of age who are actively working toward meeting the operational or support level requirements set forth in SECTION 300 Standard Operating and Evaluation Procedures. Training memberships are probationary for a period of one (1) year following admission wherein the member shall successfully meet the aforementioned requirements otherwise their membership shall be terminated. The Board of Directors may grant extensions of the training membership period due to unusual circumstances. Section 5. Honorary memberships shall be open to those persons who have made outstanding contributions to the purposes, activities and goals of the organization and may be granted by a vote of a majority of the Board of Directors. Section 6. The Board of Directors shall provide for the issuance of identification evidencing membership in the organization and certificates for the successful completion of an area or areas of search and rescue preparedness by members of the organization. Section 7. Prospective members shall apply for membership on a form approved by the Board of Directors. Completed membership forms shall be submitted to an officer. Membership in the organization and changes in membership category shall be approved by majority vote of the Board of Directors. Pro-rated dues and any initial fees shall be assessed the applicant upon membership acceptance by the Board of Directors. Section 8. The Board of Directors shall determine the annual dues that will be paid to the organization by each type of membership. Dues shall be payable in advance, no later that the annual meeting. New members shall pays dues upon acceptance and such dues shall be pro-rated for the reminder of their first year. Resignation. Any member may resign by notifying the Board in writing of such intent. Resignation shall not relieve the resigning member of any assessments or other charges accrued and unpaid and will not entitle them to a reimbursement of dues. Conduct detrimental to the interests and objectives of the organization. Section 2. Charges against a member shall be made in writing and submitted to the President. The charge shall include: the name of the accused member and the date, time, place and nature of the alleged infraction. A cash deposit of fifty dollars shall accompany written charges from one member against another, which shall be forfeited, if the charges are not sustained. The President shall brief the Board of Directors on charges received and obtain a determination if the charge(s) warrants a hearing. The President shall notify the accused member of the not less than 10-days prior to the date selected for a hearing. The hearing board shall consist of the President, two (2) voting members selected by the accused member and two (2) voting members selected at a regular meeting by majority vote. The hearing board shall convene a hearing on the matter within 30-days of receipt of the charge or complaint. The accused member shall have ample opportunity for a defense. The hearing board may downgrade membership status, suspend, fine or expel the accused, if found guilty. Fines may be levied only to the extent necessary to make restitution or replace equipment. Section 1. This organization shall have the following officers: President, Vice President, Secretary, Treasurer and three (3) Members-at-Large. Section 2. The President shall be the principal executive officer of the organization and shall supervise the business and affairs of the organization by presiding over all meeting of the general membership and Board of Directors. The President is empowered to sign, along with another officer, any deeds, mortgages, bonds, contracts or other official instruments that the Board of Directors has authorized to be executed. Section 3. The Vice President, in the absence of the President, shall perform the duties of the President and when so acting shall have both the powers and the responsibilities of the President. The Vice President shall perform other duties as may be requested by the President or the Board of Directors. Section 4. The Secretary shall perform such duties as may be requested by the President or the Board of Directors including, keeping a roster of the general membership with such pertinent information as addresses, phone numbers, certification, activities, etc., and seeing that all official notices are duly given in accordance with these by-laws or as required by law. Section 5. The Treasurer shall perform such duties as may be requested by the President or the Board of Directors including, act as custodian with charge and responsibility for funds, securities and bonds of the organization, and receiving and issuing receipts for dues and payable monies from any sources. Report to the general membership, the condition of finances of the organization and render an accounting of all monies received and expended during the calendar year. Sign all checks; drafts, or orders for payment with another duly authorized officer. Section 6. The Members-at-Large shall perform such duties as may be requested by the President or the Board of Directors, and shall act as representatives for the membership. One (1) member-at-large shall represent members of the organizations ground search, canine search, and mountain rescue subject-areas for search and rescue training and preparedness. Section 1. The governing body of this organization shall be its Board of Directors. The number of directors shall be seven (7) consisting of the officers of the organization: The President, Vice President, Secretary, Treasurer, and three (3) Members-at-large. A quorum of the Board of Director shall consist of four (4) officers. The membership category of the majority of Board of Directors shall be Operational. The Board of Directors shall fill vacancies for the duration of the term of the vacant officer. Conducting all corporate business of the organization. Section 4. The majority of the Board of Directors may bring matters of general powers before the membership for a vote. Any action voted upon by the majority of the Board of Directors shall be a formal action of the total board, provided a quorum is present. Any action of the Board of Directors may be overruled by a two-thirds (2/3) vote of the voting members at a regular or special meeting of the general membership. Section 4. The President shall call regular meetings of the Board of Directors. The Board of Directors may adopt their own structure of business for meetings. The President or two members of the Board of Directors may call a special meeting of the Board of Directors. Written notice of such a meeting shall be given prior to the meeting date. Minutes of these meetings will be made available to the general membership. Section 1. Regular or special meetings of the general membership shall be scheduled for the purposes of training and conducting the business of the organization. Notice shall be given of the time, date and place of any meeting of the general membership in a timely fashion prior to that meeting. Section 2. An annual meeting of the general membership shall be scheduled each year, for the purposes of electing officers and for the transaction of such other business as may come before that meeting. Section 4. Each operational, support and training member shall have one (1) vote for each matter under consideration by the general membership at regular or special meetings not withstanding other provisions of these by-laws granting general powers to the Board of Directors. Honorary members shall not have voting rights. At any meeting, a voting member may cast his or her vote in absentia, if executed in writing by the member. Absentee and proxy votes shall only be valid for published agenda items. Section 1. Officers shall be elected each year at the conclusion of unfinished business at the annual meeting. Officers shall serve for one (1) year with the term of office beginning immediately after the election is concluded. Section 2. Nominations may be made at the annual meeting by any voting member, provided that the member nominated accepts the nomination or provided further, that if the member nominated is not present, that there shall be presented, a written statement from the nominated member, signifying a wiliness to be a candidate. No member may hold more than one (1) office. Nomination will be made for one office at a time beginning with the President and following the order in article V, Section 1. After the nominations for an office are closed, the membership will vote on the nominees for that office. Any nominee not elected to that office can be nominated as a candidate for another office. Section 3. The nominated candidate for each office receiving the greatest number of votes shall be declared elected. If there is only one (1) candidate for an open position, that candidate may be declared elected by acclamation at the annual membership meeting. Section 1. The President or the Board of Directors may appoint committees of members to further the work of the organization. These committees may adopt their own methods of operation. Such methods shall be consistent with the by-laws, articles of incorporation, policies, procedures, rules and regulation of the organization. Section 1. The by-laws of the organization may be amended or repealed by a vote of two-thirds (2/3) of the voting membership present and a majority vote of the Board of Directors. Written notice of such proposed action shall be made to the general membership, discussed at the next regular meeting, and voted upon afterward at the next regular meeting or a special meeting of the general membership. In no case may the by-laws be amended or repealed without thirty (30) days prior written notice to the membership. The Board of Directors shall establish procedures necessary to initially implement changes made by amendments to these by-laws. Section 1. The organization may be dissolved at any time with the written consent of not less than two-thirds (2/3) of the voting members present and a majority vote of the Board of Directors at special meeting called for that purpose. Section 2. After payment of all debts and liabilities, the property and assets of the organization shall be disposed of exclusively for the purposes of the organization, in such a manner or to such organization(s) organized and operated exclusively for similar charitable and educational purposes, as shall at that time qualify as an exempt organization under Section 501 (c)(3) of the Internal Revenue Code of 1954 (or the corresponding provisions) of any future United States Internal Revenue Law as determined by the Board of Directors. There are many benefits from membership in Kodiak Island Search and Rescue (KISAR). The most important benefit is the satisfaction of being part of an effort that saves someone’s life or reduces the discomfort of a person that got into trouble and lessens the anxiety of his family. Another benefit is personal development. By participating in the training offered, you enjoy a wilderness experience and acquire the knowledge, skills and physical fitness to keep yourself and others out of trouble. Sometimes there are opportunities to get discounts on personal equipment and financial assistance on training. Because of its limited resources, KISAR Board of Directors has decided that financial benefits will go only to those who have demonstrated a long-term commitment to their development and have made a significant contribution to the organization. To qualify for financial benefits, including but not limited to personal equipment discounts or financial assistance for training, a person must be a member in good standing, current on annual dues, have obtained a SARTECH III certification and have attended at least fifty percent of the monthly meetings that have been held in the past six months. The Board in its discretion may approve exceptions to this policy.